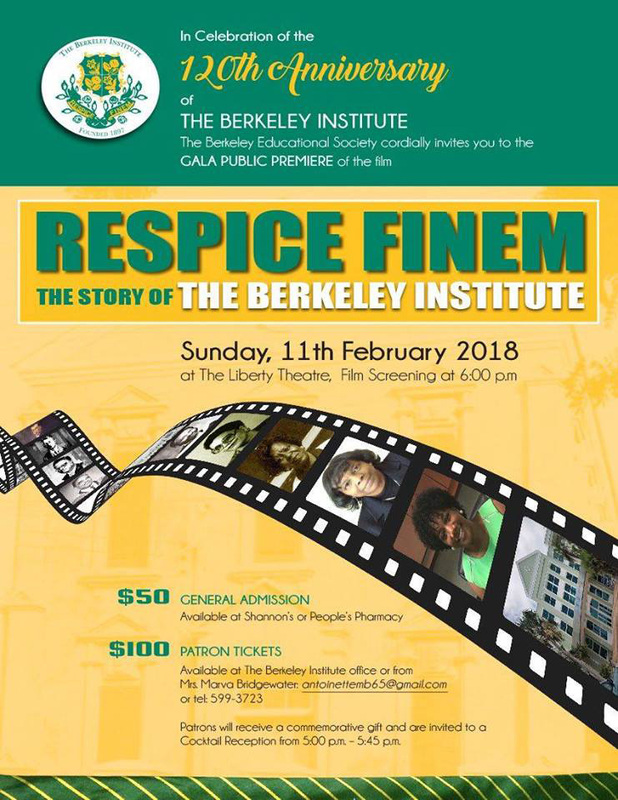 In celebration of the school’s 120th anniversary, the Berkeley Institute is inviting the public to the Gala Public Premiere of the film “Respice Finem: The Story of the Berkeley Institute” on Sunday, February 11 at 6.00pm at the Liberty Theatre. General admission tickets cost $50, are available at Shannon’s or People’s Pharmacy, Patron tickets cost $100 and available at the Berkeley Institute office or from Mrs. Marva Bridgewater, via antoinettemb65@gmail.com or call 599-3723. Patrons will receive a commemorative gift and are invited to a Cocktail Reception from 5.00pm to 5.45pm.